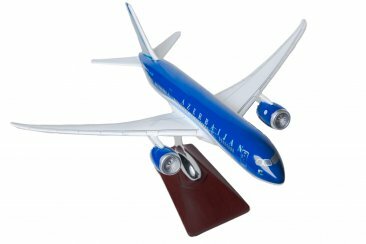 Scale model of the most modern passenger aircraft Boeing 787-Dreamliner in the livery of the Azerbaijan Airlines. Scale 1:200 (approximate length 32 cm). Stand included.